Hayley Dailey | Pittsburgh's Best Mobile Video Game Truck & Laser Tag Birthday Party Place in Pennsylvania! Allegheny County and MORE! 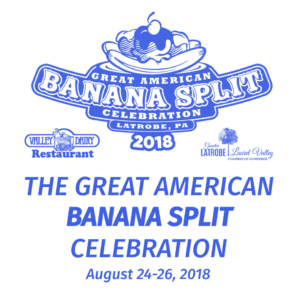 Join Steel City Gamerz at this years Great American Banana Split Festival located in Latrobe, PA. August 24-26th. Great family fun to include a pie eating contest, car cruise, live music, Yo-Yo demonstration, Fireworks, 5k fun runs and more!! Steel City Gamerz Mobile Game Truck will be there to participate during Sundays activities. Here is a daily break down on what to expect over the weekend!